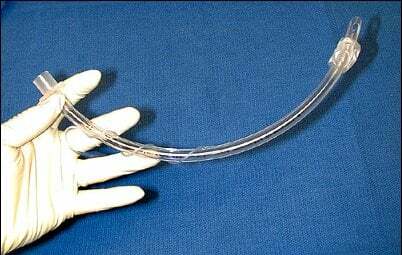 A breathing tube that is (usually) made out of clear plastic. It is placed into the windpipe during induction and intubation. This picture shows a typical endotracheal tube for an adult.